A beaver hat is a hat made from felted beaver fur. 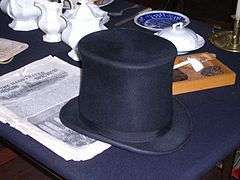 They were fashionable across much of Europe during the period 1550–1850 because the soft yet resilient material could be easily combed to make a variety of hat shapes (including the familiar top hat). Smaller hats made of beaver were sometimes called beaverkins, as in Thomas Carlyle's description of his wife as a child. Used winter coats worn by Native Americans were actually a prized commodity for hat making because their wear helped prepare the skins; separating out the coarser hairs from the pelts. To make felt, the underhairs were shaved from the beaver pelt and mixed with a vibrating hatter's bow. The matted fabric was pummeled and boiled repeatedly, resulting in a shrunken and thickened felt. Filled over a hat-form block, the felt was pressed and steamed into shape. The hat maker then brushed the outside surface to a sheen. 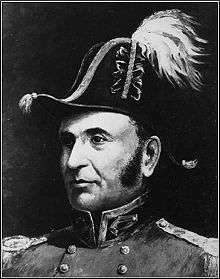 Beaver hats were made in various styles as a matter of civil status: the Wellington (1820–40), the Paris beau (1815), the D'Orsay (1820), the Regent (1825) and the clerical (18th century). 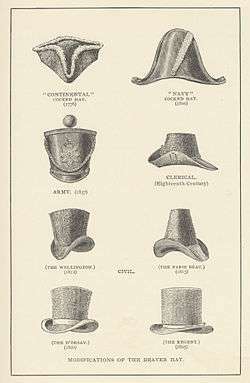 In addition, beaver hats were made in various styles as a matter of military status: the continental cocked hat (1776), Navy cocked hat (19th century), and the Army shako (1837). 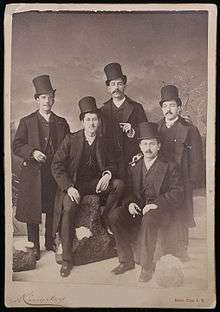 The popularity of the beaver hat declined in the early/mid-19th century as silk hats became more fashionable. ↑ Wallace-Wells, D. "Puritan Inc." The New Republic, 2010. ↑ Picken, Mary Brooks (1999). A dictionary of costume and fashion : historic and modern : with over 950 illustrations. Courier Dover Publications. 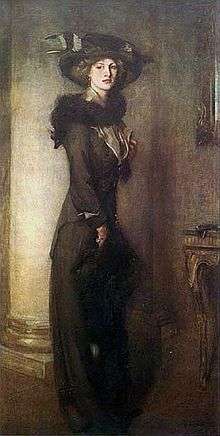 p. 160. ISBN 9780486141602. Wikimedia Commons has media related to Beaver hat.